A Blue Rose and White Spray Roses Bridal Bouquet arranged into a circular handtied design. Both the blue and white roses compliment eachother well. 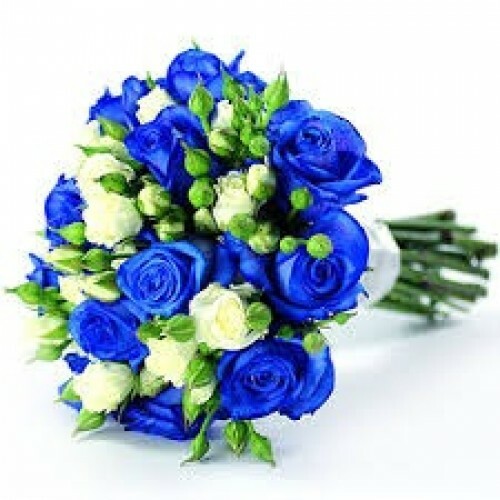 We can adjust flowers, sizes and colours so feel free to get in touch by email on blueroses.co.uk. All wedding work undertaken around London and surrounding areas.